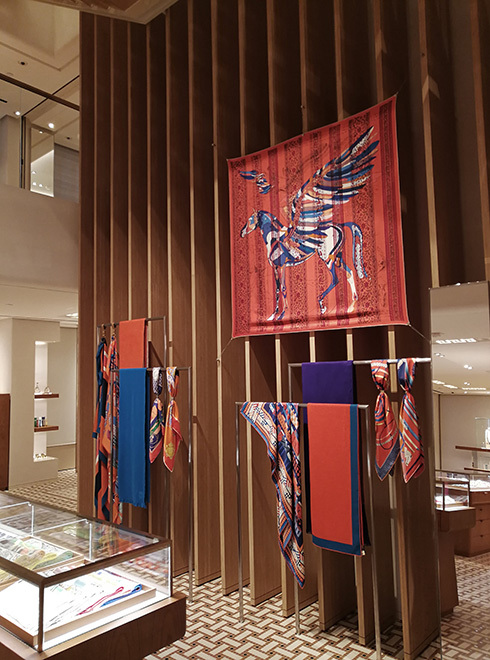 Hermès’ brand new flagship retail store has opened its doors in Central Hong Kong. 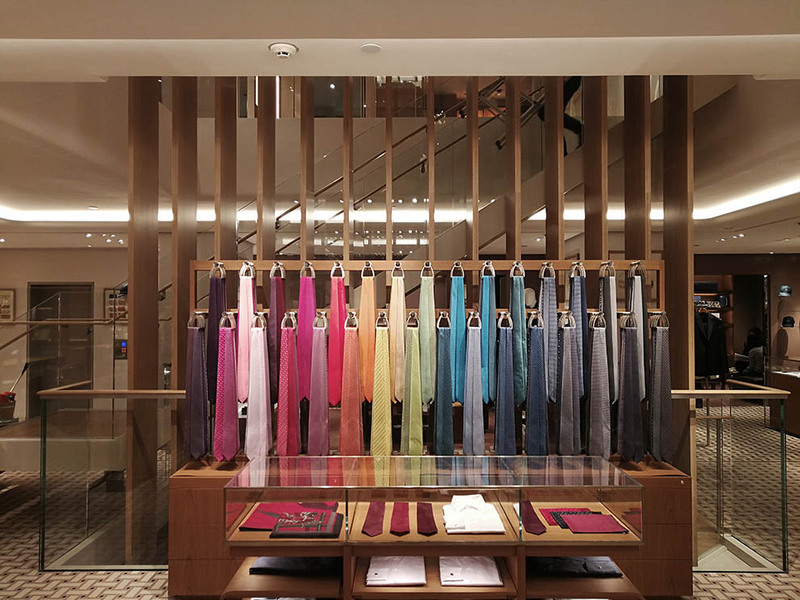 Designed and created by Parisian agency RDAI, the store is located in the Princes Building, at the crossroads of Ice House Street and Des Voeux Road. 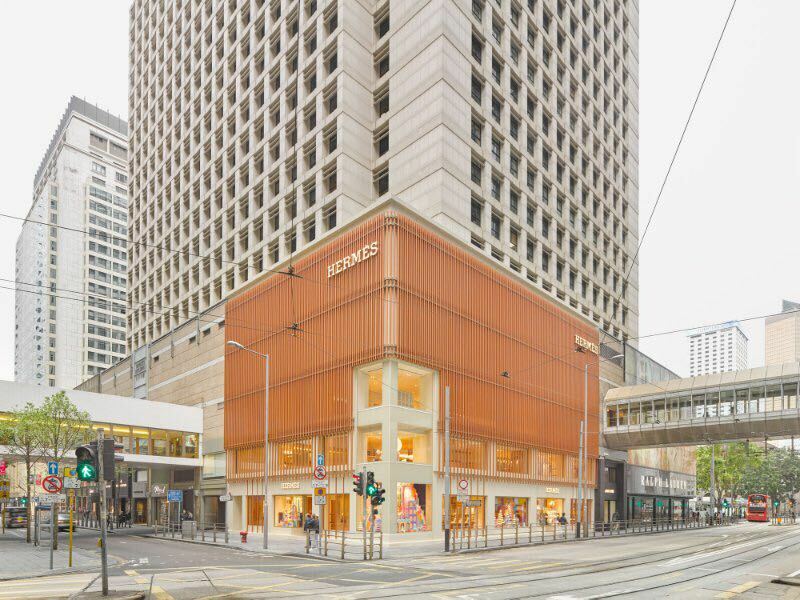 The signature giant orange box design with its fresh, inspirational façade is set to bring new shopping experience to the area. The retail store comprises three floors – ground, mezzanine and first floor – with a total of 9,167sqft. The façade was inspired by traditional bamboo scaffolding used in Hong Kong and consists of multiple layers of three-dimensional vertical aluminium tubes with complicated bracket systems. These layers filter natural light into the store. 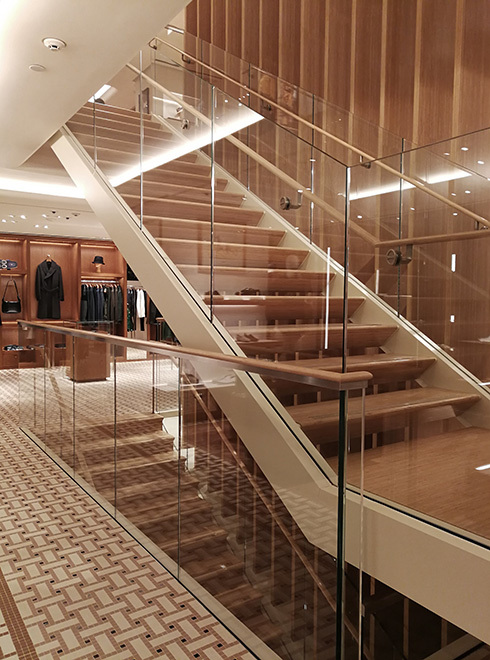 Bespoke staircases with bamboo finishes were designed and fully engineered as a feature of the interior design. Designing the internal three-storey high bamboo feature (38mm x 400mm WxD) which is supported by a high-tensile cable structure was just one of the challenges of construction in a building that is more than 50 years old and with numerous site constraints.